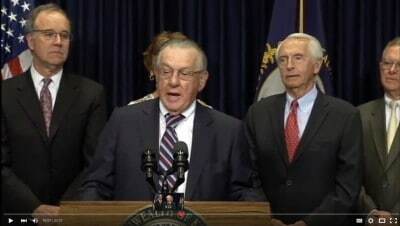 Frankfort, KY—This week Representative Larry Clark (D-Louisville) introduced a concurrent resolution to the House Labor & Industry Committee in the House of Representatives to establish the Kentucky Workforce Development Task Force. HCR 97 calls for the establishment of a task force of stakeholders to study and develop consensus recommendations concerning the funding of workforce education in Kentucky, with a focus on realigning the education system to meet the demands of Kentucky’s 21st century workforce. Two representatives of Kentucky small businesses. Larry Clark represents the 46th District in Louisville and has served in that position since 1984 and he maintains a 100% voting record. He served as the longest running House Speaker Pro Tem for 21 years, since 1993. Clark has sponsored legislation for job creation, economic development and education, and he has been a supporter of seniors, veterans and the most vulnerable of citizens. For more information, visit www.KeepLarryClark.com.